When Should You Reset a Diamond Ring? There are many reasons you might want to reset a diamond. It's possible you've tired of your original setting or that it is damaged and beyond repair. It's also not unusual for vintage engagement rings to be handed down through families and it may not fit your style. Before you head to the jeweler, there are a few additional factors you might want to consider, including the effect it will have on the jewelry's value. Let's explore when it's absolutely okay to reset your diamond and when it's best to consider purchasing a new one. Whatever the reason, resetting a diamond is often a very personal decision controlled by the degree of sentimental attachment you have to a piece of jewelry. Was the diamond ring a family heirloom or did you buy it at an estate sale or antique shop? Are you attached to your first engagement ring setting in any way? It's often more difficult to noticeably alter an item when carries personal meaning. This is something you will need to weigh carefully if the diamond's current setting doesn't match your personal taste. Which is more important? Is there a way you can honor the old while making it work for you? Some women don't want to banish the diamonds from their lives after a divorce. Instead, they make the stones work by placing them into pendants and rings that look nothing like the original wedding jewelry. If you can detach the relationship from the diamond and want a new piece of jewelry, this is a viable option. However, once you remove the diamond from its original setting, your resale value will go down significantly. You will only be able to sell your setting for its scrap value. If adding another piece of diamond jewelry to your collection isn't important, sell the piece of jewelry as a whole and consider buying something new. With antique jewelry, it's important to remember that the sum of the whole is worth more than its parts. An antique setting with its original stone is significantly more valuable than an antique setting missing a stone. If you don't have a sentimental attachment to the stone, consider selling the jewelry as a whole then purchasing a new diamond. If the original setting is badly damaged, consider resetting the diamond in another antique setting that matches the style. If you have modern taste, it's unlikely an antique cut diamond will suit you as much as a modern one. A company that resets diamonds may require that you obtain an appraisal or lab report as well as a mapping of your diamond before it takes possession of the gemstone. The reports provide details that allow it to be identified as yours if necessary. Consider obtaining the reports even if the jeweler doesn't require them. You can also learn how to use a jewelry loupe to identify inclusions and other characteristics of your diamond. This can be useful because you'll be familiar with your diamond just in case it has accidentally been replaced. Put some thought into why you want to change the setting. Consider how can you improve the diamond's appearance and make it more usable for your lifestyle. Reset a solitaire diamond and place diamonds on each side of it. 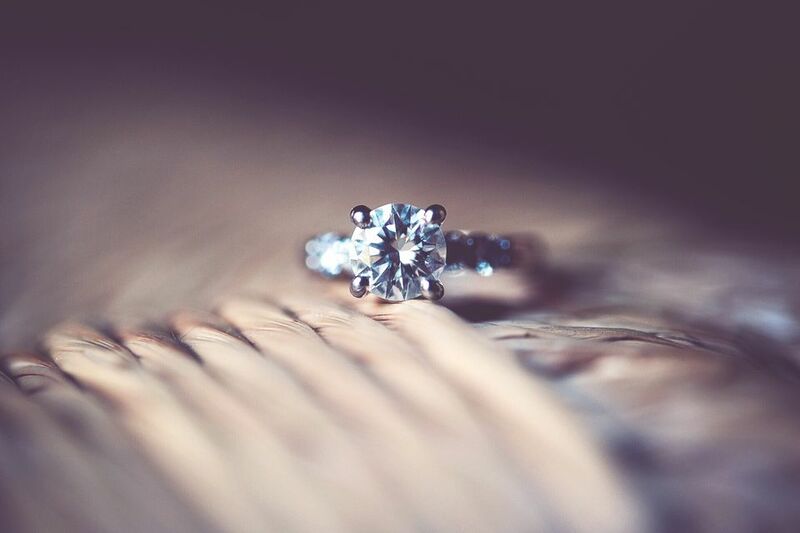 Take a diamond out of a very tall, pointed setting and place it into a setting that's less likely to bump against everything you come into contact with. Remove a diamond with a slightly yellow cast from its yellow gold setting and place it into white gold or platinum. The contrast of the cooler tone will reduce the overload of yellow. Combine the diamond with colored gemstones, such as rubies, emeralds, or sapphire. Place a diamond with slight damage in a setting that camouflages the problem and keeps it from getting worse. When selecting the jeweler who will reset your diamond, it's important to find someone who you feel you can trust. You'll also want to look for a jeweler who explains the resetting process and offers a variety of design ideas to help you choose the best look for your diamond. Is my diamond insured for theft and other types of loss while at your location? Will the diamond stay on the premises for resetting? Consider other options if the diamond will be sent away unless you feel comfortable with the way the diamond will be transported and stored. How long will it take to reset the diamond? What is the certification or experience level of the person who will reset the diamond? Can you show me examples of diamonds you have reset? Can you provide references?